As I wrote on Friday, it was hot. And my first assignment that day was to photograph firefighter training in Gwinnett County. © 2010 by The Atlanta Journal-Constitution. 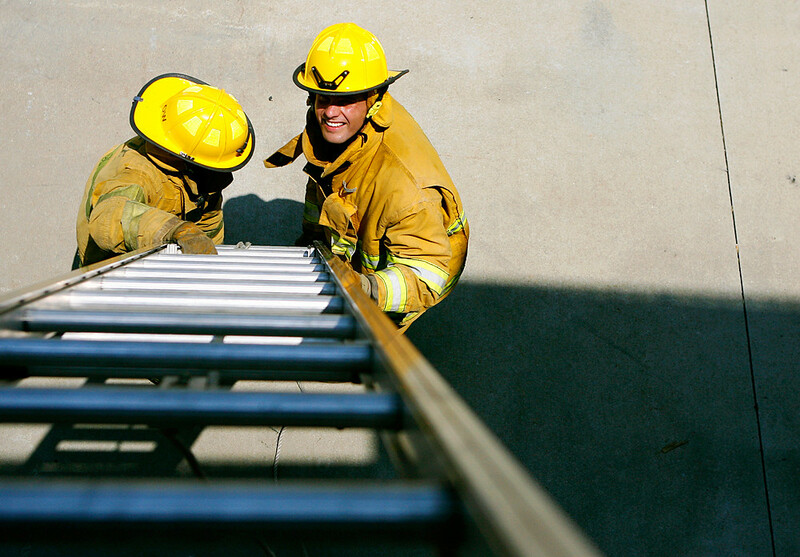 (Click on the image to read the article on ajc.com) Gwinnett County firefighter recruits Gloria Dow and Stanley Samek work to raise a ladder properly during a drill on Friday, June 18, 2010, at the Gwinnett County Fire Training Academy. Divided into groups, the students rotated in various drills: Running the hoses to and from the fire trucks, performing ladder rescues, attaching hoses to hydrants and helping an injured firefighter. Immediately recognizing that most firefighters look the same while suited up, I followed one group as they went through the drills, to minimize any difficulty with identification. It was really exciting to shoot. I got soot all over my jeans and arms while dangling out of a demonstration burn building’s window to get the above photo. It was also really hot. © 2010 by The Atlanta Journal-Constitution. 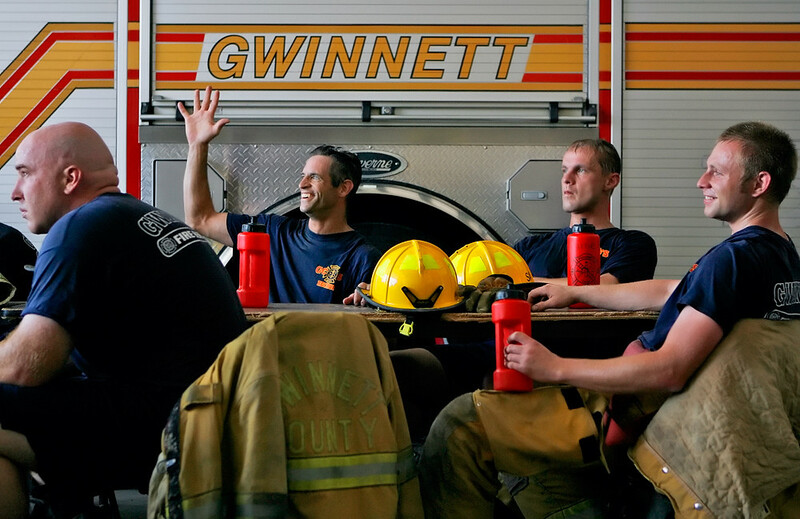 Gwinnett County firefighter recruits Tim Powell, Brian Martin, Stanley Samek and Dustin Wilkerson take a break, with suits and helmets off, from drills in the 100-degree heat. Yeah. 100-degree heat index. Hoo man.